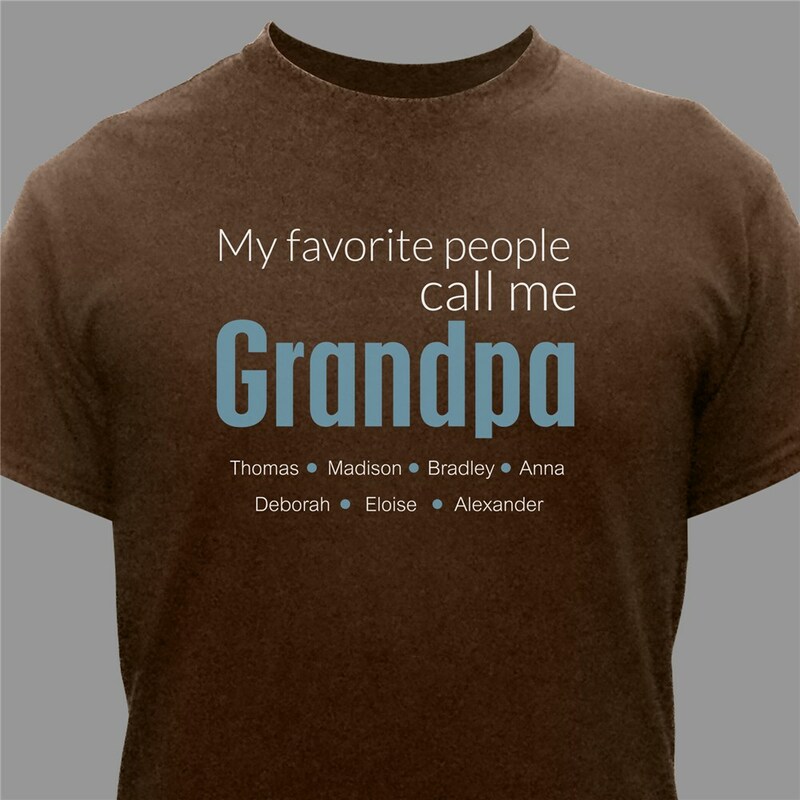 Your Dad or Grandpa will be so thrilled to wear this Favorite People Personalized T-shirt when spending the day with his family. 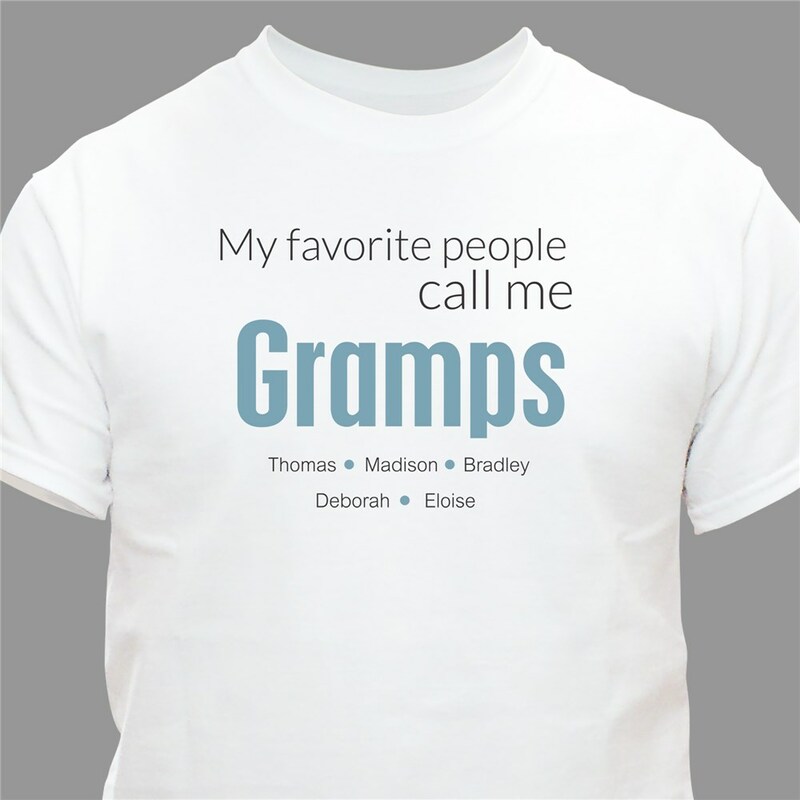 Our Dad shirts may be personalized with any Title and up to 30 Names of his Grandchildren or Children. 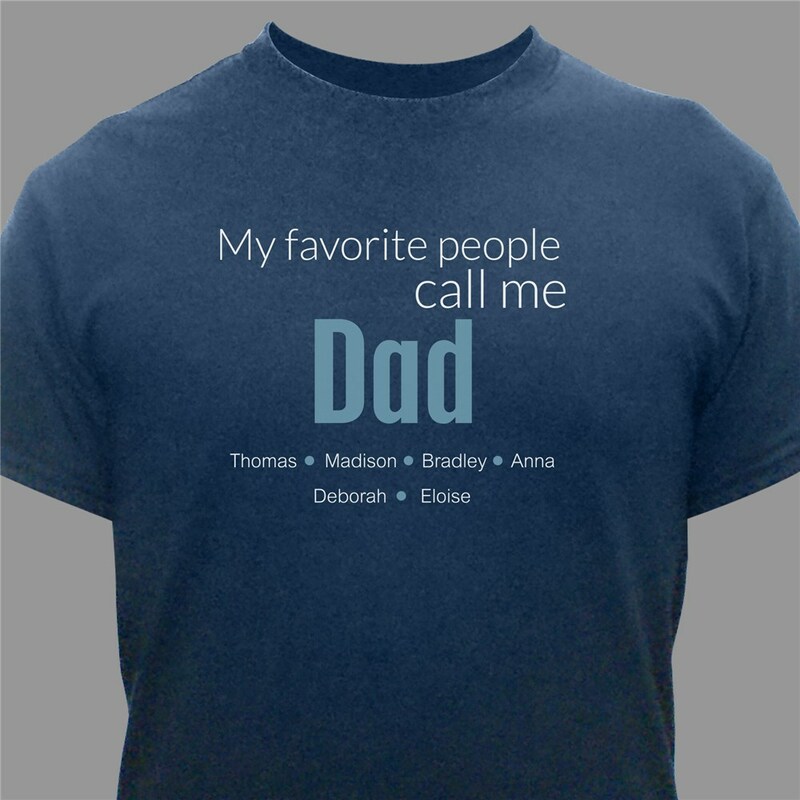 Give Dad Shirts like this T-shirt as a sentimental Birthday or Father's Day gift. 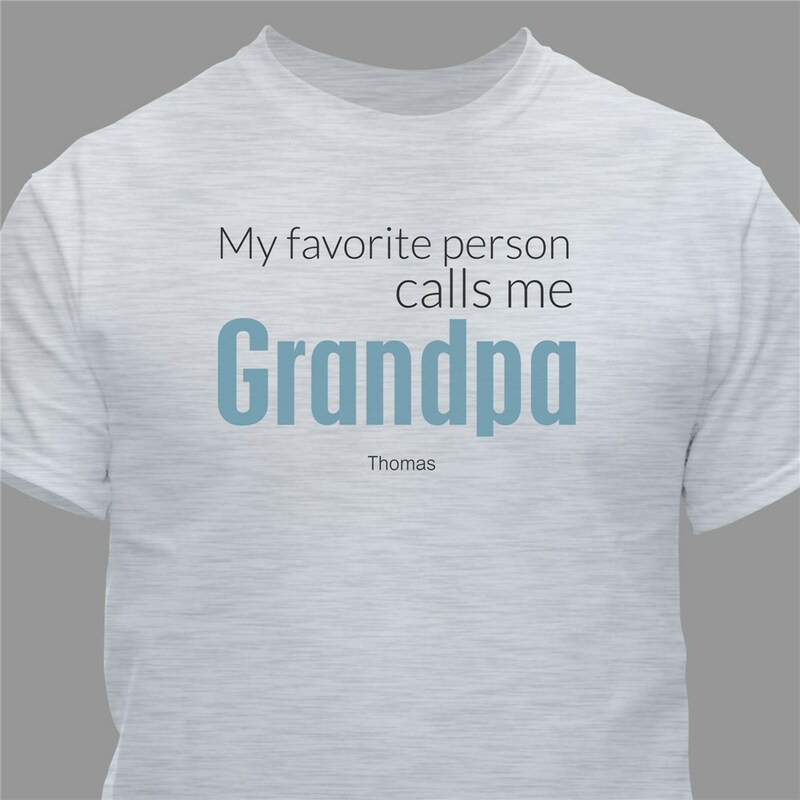 My Dad loved this shirt good color and size was true to size!